When it comes to longevity, simplicity and reliability, the Toyota Corolla is up there behind the Volkswagen Beetle. We're talking 50 years and 40 million cars, a milestone that's being marked with a 2017 Corolla 50th Anniversary Limited Edition. Only 8000 will built, according to Toyota, in three colors, with 17-inch alloy wheels, cherry stitching on black leather interior, and a badge or two. Otherwise, the 2017 Corolla isn't changed over 2016, except for available safety technology that comes from the Prius. The 2017 Toyota Corolla is an 11th-generation product, launched as a 2014 model. The base engine is a 1.8-liter four cylinder making 132 horsepower and 128 pound-feet of torque. The 1.8-liter Eco engine uses variable valve timing to produce 140 hp and 126 lb-ft. Most Corollas come with a continuously variable transmission, though a 6-speed manual transmission is available. Toyota's CVT is better than most (the Subaru is excellent, as well). It's successfully designed and programmed to feel like a 7-speed automatic. The Corolla is 183 inches long, big for a compact, but that gives it room. It grew by four inches in its last redesign, 2014. That gained 5.1 inches in rear legroom, so now six-foot-tall passengers are comfortable anywhere in the car. There's no hatchback Corolla model. The Toyota iM (formerly known as the Scion iM) is for all practical purposes is the Corolla hatchback. 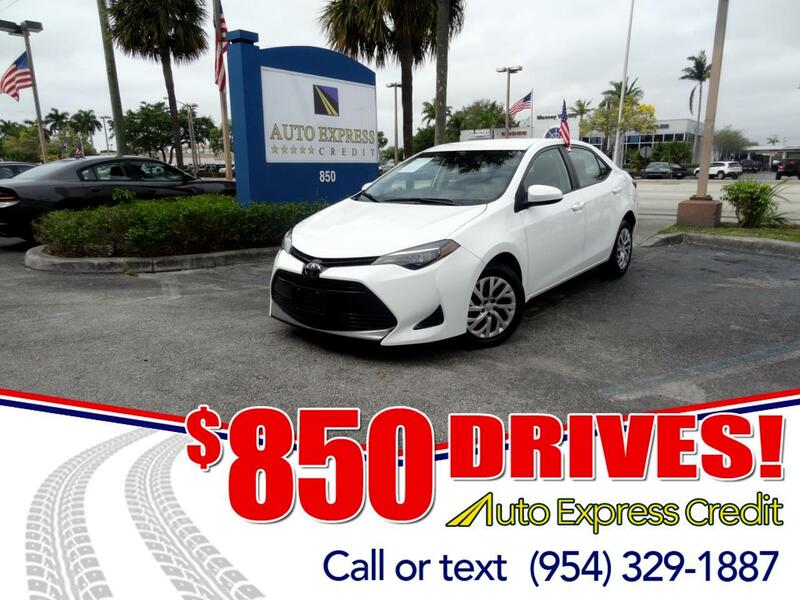 The Prius is Toyota's fuel-mileage model, but the Toyota Corolla LE Eco gets an EPA-rated 30/42 mpg City/Highway, or 35 Combined miles per gallon, while other Corolla models get a respectable 31 or 32 mpg Combined. Corolla LE Eco features an Eco Drive mode altering transmission and throttle response, as well as a/c and accessory management. In crash testing, Corolla gets five stars overall from the federal government, NHTSA, with four stars in rollover. From the IIHS insurance industry it got top Good ratings in frontal, side, rear, and roof crash tests, but just Marginal in the small overlap frontal test. There are eight airbags designed to protect you. However there's not a rearview camera in every model, to protect you from backing into a telephone pole.